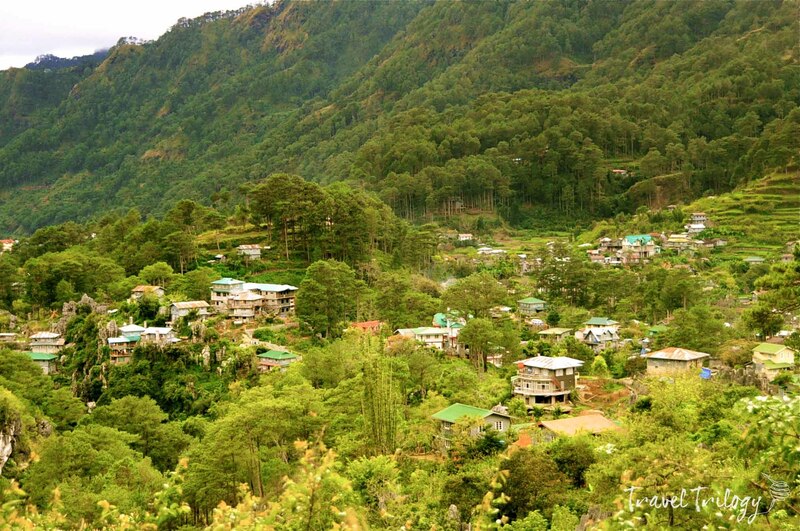 Hidden in the mountains of the Cordillera in the Philippines is a haven called Sagada. Despite its remote distance from the city, local and international tourists flock to this place because of its breathtaking landscapes, rich cultural history, living traditions and a refreshing sub-tropical climate. Sagada rests on a valley up in Central Cordillera, in between the incredible Cordillera Ranges and the long mountain ranges of Ilocos. It is home to the ethno-linguistic group called Kankana-ey that belongs to a larger group of indigenous people commonly referred to as Igorots. In history, the Igorots are known as great hunters and fierce warriors. But in modern day Sagada, the people are hospitable and engaging. 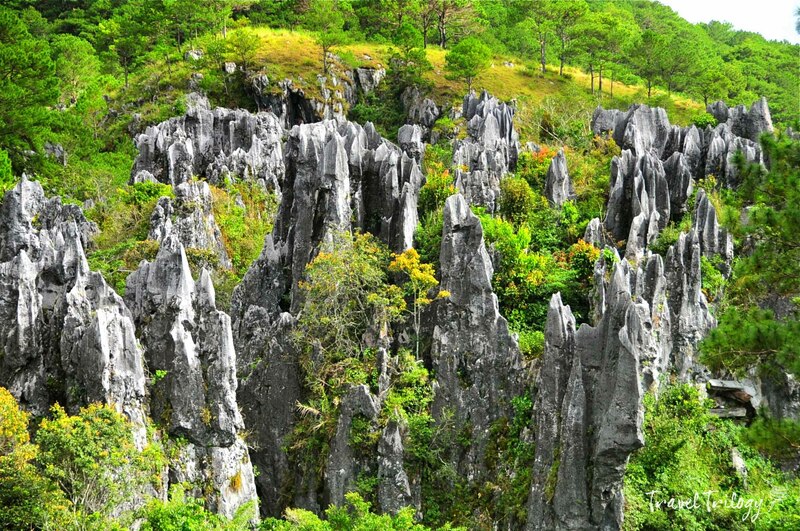 Limestone monoliths punctuate the landscape of Sagada. Getting there is already half the fun. If you have motion sickness, get your puke bags ready as you will need to surpass blind curves on deep gorges & steep downhill slides. From about 2,000 feet above sea-level, the view is spectacular—overlooking on rice terraces gently embraced by the early morning mist, long and raging wild rivers, pretty flower farms and small villages you’d never imagine would exist. 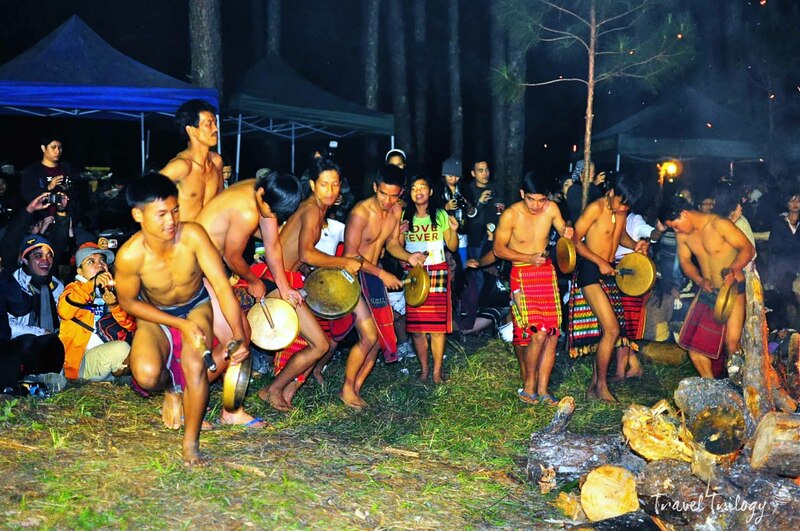 Kankanaey tribe celebrates Bonfire Festival every December in the forest of Sagada. The people of Sagada are cheerful and industrious. They thrive on agriculture and tourism woven into their day-to-day lives. Although they are now predominantly Angelican, they have not detached from what defines them as indigenous people of the Cordillera. They have retained some of their cultural traditions from the pre-colonial mission in 1882 to the coming of the Episcopal Protestant over a hundred years ago. These tribal traditions are best showcased during their annual celebrations of Begnas and Panag-apoy Festivals. The Ganduyan Museum also serves as a reliquary of heirlooms from their ancestors. 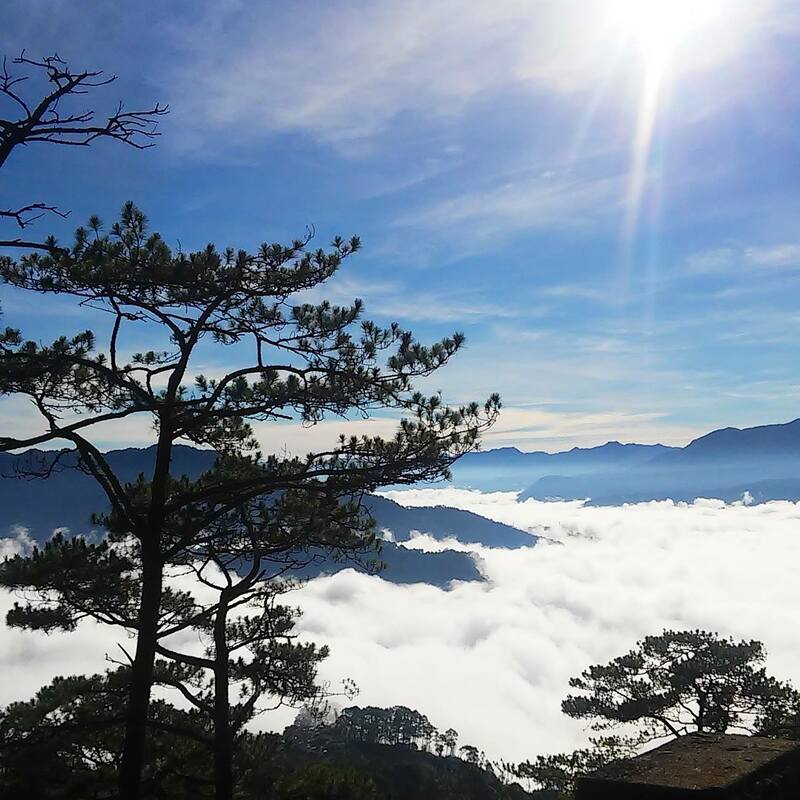 Sagada is every traveler’s paradise because it offers all sorts of travel attractions be it cultural, active adventures, natural landscapes, food fancies or just to chill far away from the city. Explorations are best done with the help of a reputable local travel guide in Sagada under Sagada Genuine Guides Association (SAGGAS) as there are sights that can only be done with their expertise. Lumiang-Sumaguing Cave Connections – spelunking in this million year old caves & marvel the world under. 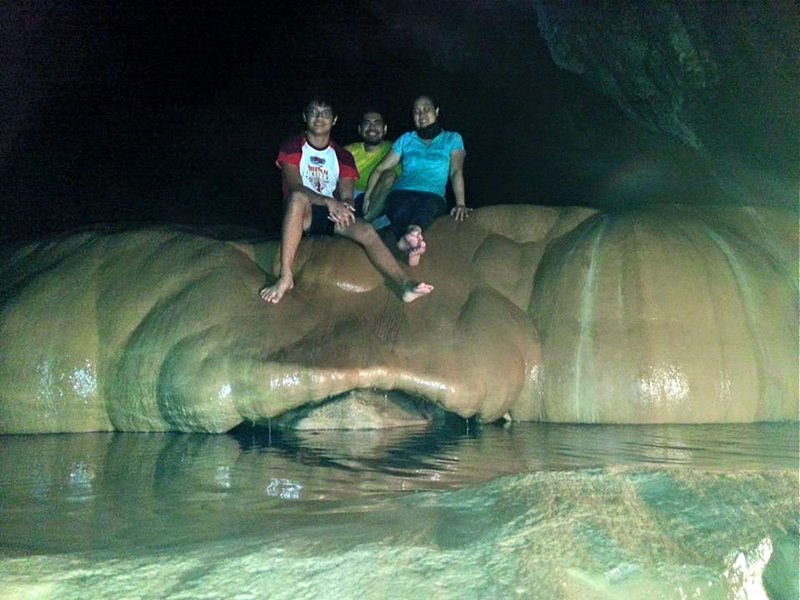 Rock Climbing – dare to climb & hang by the sharp limestone rocks. 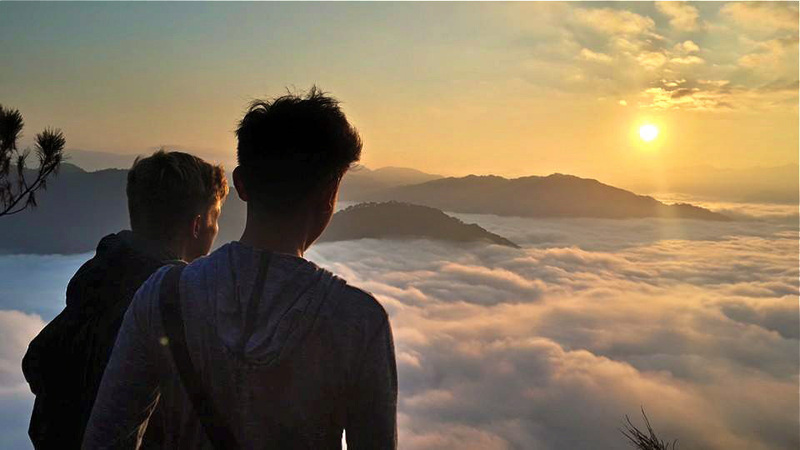 Kiltepan Peak – set at about 1,600 ft above sea-level, be awed by the bed of clouds while waiting for the first streaks of sunlight on the highlands. Echo Valley – sit by the rocks on top of a hill in Baw-eng for a great vista of the village and a closer view of the hanging coffins. Rice Terraces – walk on the rice paddies in Suyo, Ankileng, Balugan & Bangaan. Bomod-ok Falls – raging waterfalls and cold clean water perfect for a refreshing dip. Pongas Falls – hard terrain negotiation but worth the twin fall adventure. Marlboro Mountain – watch the horses roam & race in the wide field. White Water Rafting – reserved for the daring & bold, Chico River’s rafting adventure is truly wild. The hanging coffins on Echo Valley. Lumiang Burial Site – ancient burial chambers tucked w/ age-old coffins. 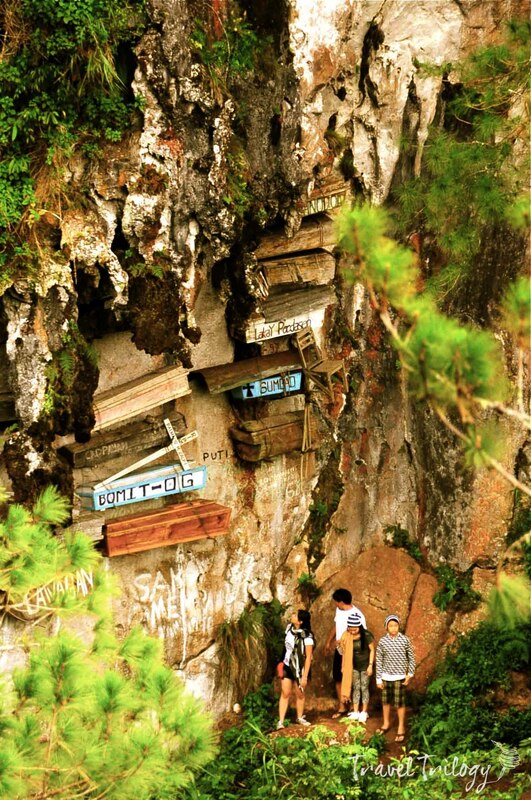 Hanging Coffins – carved in pinewood, these coffins can be seen hanging from the limestone mountains. 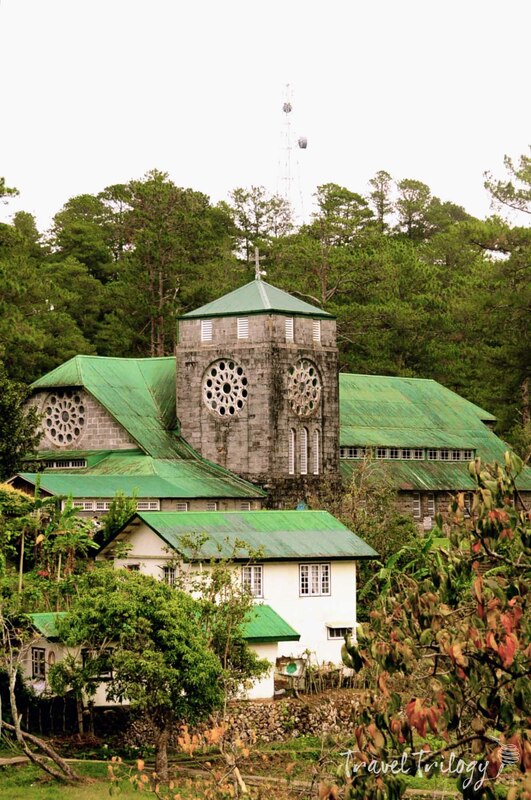 Ganduyan Museum – reliquary of Sagada’s antiquities. 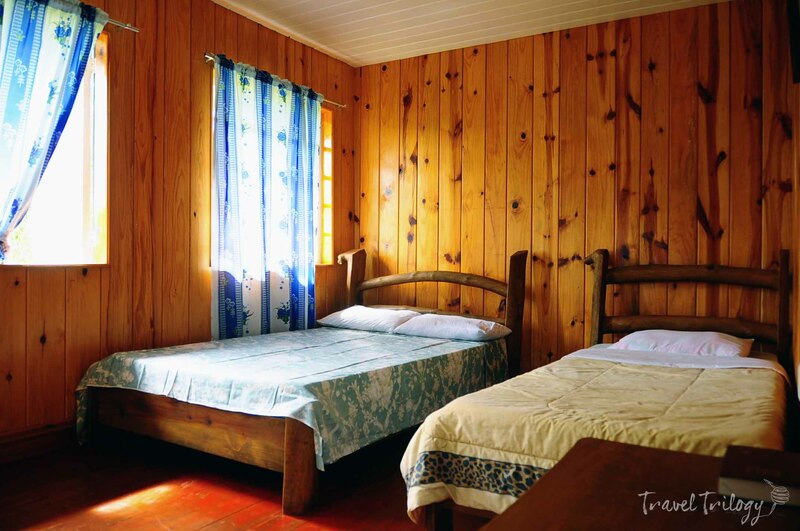 Sagada Weaving Center – showcase of Kankana-ey’s tapestry making. 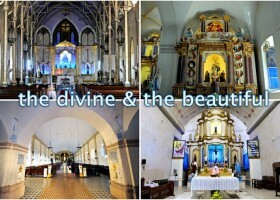 Church of St. Mary the Virgin – historical church celebrating more than 100 years of episcopal mission in the Philippines. Orange Picking – in season between September to February but best picking experience in December. Food Feast – sample local delicacies such as pinikpikan and lemon pie. Take Victory Liner from its terminal in Cubao & Pasay. Travel time to Baguio City takes about 6 hours. From Baguio, take Lizardo Bus at the Dangwa Station. Travel time to Sagada is approximately 6 hours. Take Ohayami Bus from its terminal at Fajardo corner Lacson Avenue in Sampaloc, Manila to Banaue. Travel time to Banaue is approximately 7 hours. Bus fare is around P450. Reservations are needed especially during peak days (Friday, Saturday). Click here on how to make reservations. 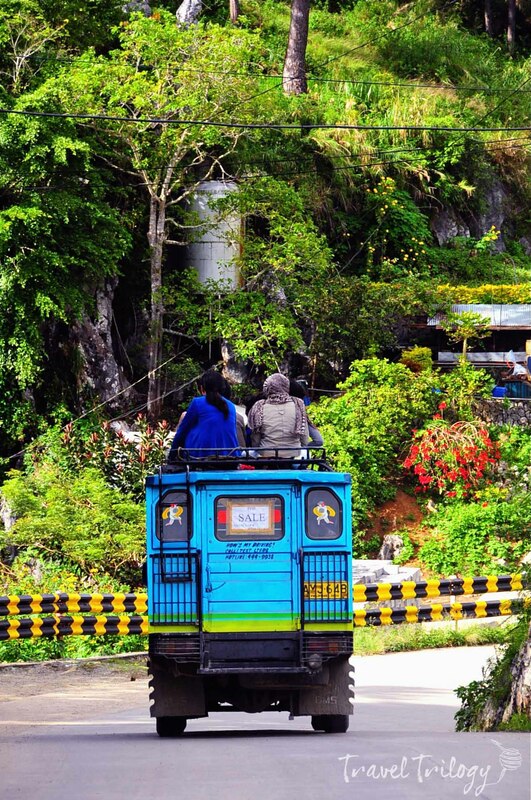 From Banaue, take the connecting trip via public jeepneys or V-hires bound for Sagada. 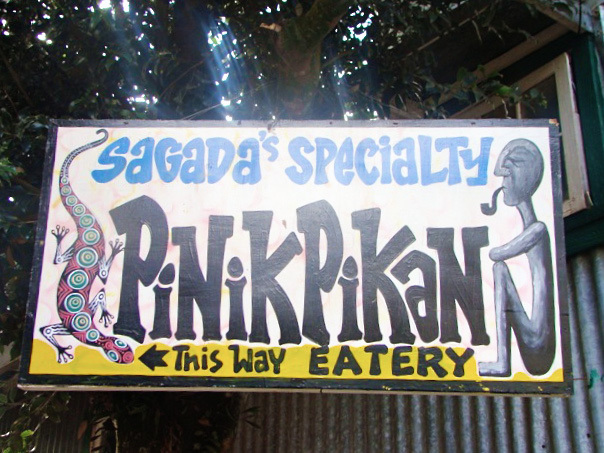 Finding places to eat in Sagada is not a problem as a lot of cafes & restaurants abound in this area. From traditional Cordilleran delicacies to Western comfort food, the choices here are aplenty. 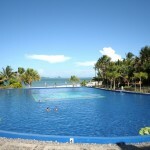 hello friends we stayed at lucky morels inn wow very acommodating ng owner super friendly pa! 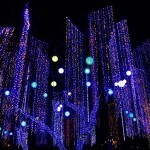 ok dito friends look for the place! simple hauz, very quiet n homey n the place to eat is at lucky’s shanghai hauz, masarap ang food especially the shanghai rolls! grabeee so yummy! go n find the place mura ang inn n food nila youre a sure winner here contact 09107078175 FOR SMART N 09177868402 FOR GLOBE ask ms lily, imagine mga kilalang personality kumakain dito! pls try the lucky morels inn, the real place to stay n lucky’s shanghai hauz, the place to eat super duper masarap ng matulog masarap pa foods, win ka dito! pls contact 09107078175 ask ate lily super bait nya, very accomodating xa n the lumpiang shanghai super yummy talaga as to what bloggers were saying, go na friends hanapin nyo place, sayang, itohanap nating mga turista!